Today, the American Film Institute (AFI) announced the AFI DOCS 2016 Filmmaker Forum program and Impact Lab participants. The four-day Filmmaker Forum will take place June 23-26 at the AFI DOCS Festival Hub - located at the District Architecture Center, 421 7th Street, NW in Washington, DC - and is open to AFI DOCS Priority and Industry passholders as well as festival filmmakers. Filmmakers and industry professionals will meet for a series of professional development and networking events focused on diversity in documentary filmmaking, new technologies and the expanding world of documentary short filmmaking. Sponsored by the Corporation for Public Broadcasting, days one and two of the Filmmaker Forum will connect attendees with independent producers, leaders in public media and cultural critics as they examine the issues of diversity and equality within the documentary community. Additional Forum highlights include a panel discussion with award-winning filmmakers on the advantages of short-format documentary filmmaking; and a panel discussion on the Virtual Reality revolution featuring VR makers, journalists, academics and industry insiders. The Filmmaker Forum is presented in association with the International Documentary Association and Women Make Movies. The second edition of the AFI DOCS Impact Lab, produced in partnership with Picture Motion and in collaboration with NBCUniversal, will take place June 21-22. The intensive program provides filmmakers with issue-driven films with unique training opportunities in the areas of advocacy, grassroots communication and engagement. After completion of the Lab, participating projects are eligible to apply for the AFI DOCS/NBCUniversal Impact Grants, which support the outreach and social action campaigns of select Lab participants. Other supporters of the Impact Lab include CrossCurrents Foundation and The Fledgling Fund. Selected from films screening at AFI DOCS 2016, the 10 films participating in the 2016 Impact Lab are ALMOST SUNRISE (DIR Michael Collins, USA), AMERICAN BAGHDAD (DIR Ron Najor, USA), CARE (DIR Deirdre Fishel, USA), CHECK IT (DIRS Toby Oppenheimer, Dana Flor, USA), FAREWELL FERRIS WHEEL (DIRS: Jamie Sisley, Miguel “M.i.G.” Martinez, USA), THE ISLANDS AND THE WHALES (DIRS Mike Day, DENMARK, USA, UK), NEWTOWN (DIR Kim A. Snyder, USA), THE OPPOSITION (DIR Hollie Fifer, AUSTRALIA), RAISING BERTIE (DIR Margaret Byrne, USA) and THEY CALL US MONSTERS (DIR Ben Lear, USA). "Both the AFI DOCS Filmmaker Forum and Impact Lab provide unique opportunities to convene documentary filmmakers with policymakers and industry professionals in our nation's capital," said Michael Lumpkin, Director of AFI DOCS. "Through the Filmmaker Forum's conversations with experts and the Impact Lab's advocacy training, we hope to inspire documentarians to leverage the power of nonfiction storytelling and create meaningful change." 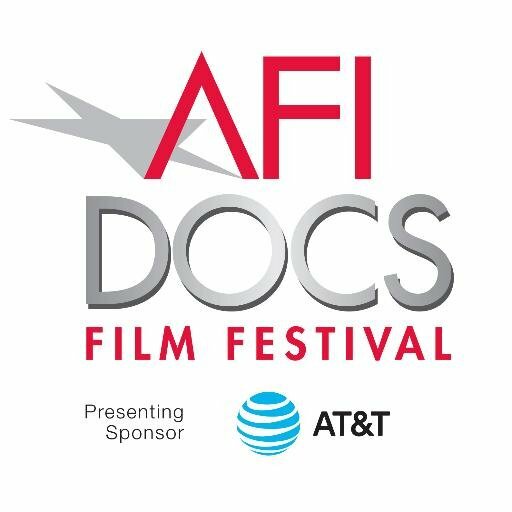 The 14th edition of AFI DOCS will run June 22-26 in Washington, DC, and Silver Spring, Maryland. For more information about the Impact Lab and Filmmaker Forum, please visit AFI.com/afidocs. 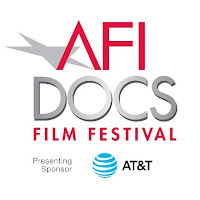 AFI DOCS is the American Film Institute's annual documentary festival in the Washington, DC area. Presenting the year's best documentaries, AFI DOCS is the premier festival in the U.S. dedicated to screenings and events that connect audiences, filmmakers and policy leaders in the seat of our nation's government. The AFI DOCS advisory board includes Ken Burns, Davis Guggenheim, Chris Hegedus, Werner Herzog, Rory Kennedy, Barbara Kopple, Spike Lee, Errol Morris, Stanley Nelson, D A Pennebaker, Agnès Varda and Frederick Wiseman. Now in its 14th year, the festival will be held June 22­-26, 2016 in landmark Washington, DC venues and the historic AFI Silver Theatre in Silver Spring, MD. Visit AFI.com/afidocs and connect on twitter.com/afidocs, facebook.com/afidocs and youtube.com/AFI. AFI is America's promise to preserve the heritage of the motion picture, to honor the artists and their work and to educate the next generation of storytellers. AFI programs include the AFI Catalog of Feature Films and the AFI Archive, which preserve film heritage for future generations; the AFI Life Achievement Award, the highest honor for a career in film; AFI AWARDS, honoring the most outstanding movies and TV series of the year; AFI's 100 Years... 100 Movies television events and movie reference lists, which have introduced and reintroduced classic American movies to millions of film lovers; year-round and special event exhibition through AFI FEST presented by Audi, AFI DOCS and the AFI Silver Theatre and Cultural Center; and educating the next generation of storytellers at the world-renowned AFI Conservatory. For more information about AFI, visit AFI.com or connect with AFI at twitter.com/AmericanFilm, facebook.com/AmericanFilmInstitute, instagram.com/AmericanFilmInstitute and youtube.com/AFI.